Mostly clear. Low 52F. WNW winds shifting to SE at 10 to 15 mph..
Mostly clear. Low 52F. WNW winds shifting to SE at 10 to 15 mph. Southbound traffic proceeds along North Craycroft Road, south of East Speedway Boulevard in Tucson on April 25, 2017. The Arizona Department of Transportation is hoping a new website addressing road-safety topics will help prevent crashes and save lives. 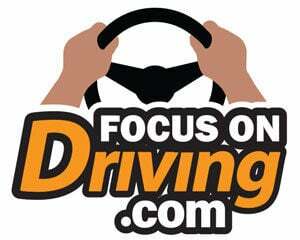 The new website, FocusOnDriving.com, is a collection of safe-driving tips and resources. ADOT says the site, which launched in late January, has everything from video public service announcements to information about safety campaigns. “National crash statistics show that more than 90 percent of crashes are caused by driver behavior. Our hope is that FocusOnDriving.com will help drivers become more informed, leading them to making better decisions behind the wheel,” John Halikowski, the director of ADOT, said in a statement. While some of the topics address issues like seat-belt safety and roundabouts, there are others that could provide a quick refresher course for motorists. The words “buckle up” also apply to children inside the vehicle. According to the National Highway Traffic Safety Administration, half of all car seats are installed incorrectly. From rear-facing seats to booster seats for older children, each has different ways of ensuring the child is safe, ADOT says. First is to make sure the proper seat is being used, which is determined by height and weight. Also, not all seats will fit in every vehicle. Some additional general rules for car seats from ADOT: To make sure that seats are established and cannot move more than one inch in any direction, when tightening a harness it’s important to make sure you can’t pinch any of it after it is buckled, which means it is too loose. Also, the chest harness should be at armpit level. Did you know? All car seats expire, and labels should be checked to determine if the car seat you’ve been using for a while needs to be replaced. This also goes for car seats that have been through a crash, which should be checked for safety. ADOT takes steps to prevent brushfires from occurring by mowing vegetation along highway shoulders and spraying fire retardant, but motorists also play a crucial role in preventing fires. The department says motorists should make sure tow chains are not dragging on the road, causing sparks to fly. Tire pressure and brakes should be checked before traveling, as exposed wheel rims or worn-out brakes can lead to sparks. When finding that perfect place to park, don’t stop in tall grass, as heat from under the vehicle could start a fire. Did you know? Even off-road vehicles and dirt bikes can spark fires from exhaust pipes, which led to a requirement for a spark arrestor in good working condition. When faced with a wrong-way driver, ADOT says to slow down and make sure there’s no vehicle next to you when you move away from the vehicle coming the wrong way. If you can, make your way to the nearest exit and, once safe, call 911. Two out of three crashes involving wrong-way drivers are caused by people who are impaired, ADOT says. ADOT also reminds motorists to drive defensively on the road — which means no tailgating — so if a hazard arises you have time to take evasive action to prevent a collision. Did you know? There’s testing underway for the first-in-the-nation thermal camera system on 15 miles of I-17 to detect wrong-way vehicles while alerting authorities. Crews will be restricting traffic to a single lane in each directon on Interstate10 near Pinal Air Park Road starting Monday night. Lane closures should last from 7 p.m. and 5 a.m. until work concludes Thursday, Feb. 14. Motorists should prepare for delays. I-10 will be restricted to one lane in each direction between Sunset and Cortaro roads from 8 p.m. to 5 a.m. due to barrier work. Work is expected to end on Tuesday, Feb. 12. Motorists should use caution while in the work zone. Sabino Canyon Shuttle Stop #9 will see foundation and curbing work starting Monday. The work will continue until Tuesday. Visitors should plan extra time for activities as heavy vehicles and equipment will be active in the area during construction. Starting Monday, Tucson Department of Transportation crews will begin the road improvement projects associated with the Tucson Delivers Better Streets Program approved by voters in 2017. Crews will be reconstructing and repaving Star Pass Boulevard from Lost Starr Drive to Mission Road Bridge and La Cholla Boulevard from Star Pass Boulevard to Ajo Way. Work lasts from 7 a.m. until 3:30 p.m. each day. The project is expected to be complete in April. Motorists can expect delays when driving in the area. A new kind of custom license plate is coming to Arizona.